The State Department at first didn’t want to unduly rattle the Germans, and later didn’t want to risk a rift with our British friends. The Republicans allowed their isolationist supporters to run roughshod over their moral sensiblities. Christian leaders, joined by at least some major Jewish organizations, said the extermination of Europe’s Jews was indeed a terrible thing, but the more important goal was to defeat the Nazis, for only the destruction of Hitler’s war machine could really make the world safe for all, including, by the way, whatever Jews might survive the Germans’ genocide. That was the climate in which Franklin Delano Roosevelt repeatedly found reasons not to do the right thing—not to take in Jewish child refugees, not to meet (let alone enlarge) American quotas for European immigrants, not to force the British to let more Jews enter Palestine, not to bomb the gas chambers at Auschwitz when American warplanes were already busy destroying that concentration camp’s industrial plants, less than five miles away. Ever since David Wyman’s landmark 1984 book, The Abandonment of the Jews, historians and journalists have generally described President Roosevelt as sympathetic to the plight of Europe’s Jews, but unwilling to risk political capital, endanger relations with U.S. allies, or divert military or financial resources on behalf of a people he knew were being systematically and gruesomely wiped out. But their primary purpose is to posit that Roosevelt’s attitude toward the Holocaust developed in four stages, with varying degrees of resolve and effort, even if none of them amounted to a full-fledged commitment to intervene on behalf of the Jews. FDR started out as a bystander to Nazi persecution. “Like Lincoln facing the need to hold the Union together,” they write, Roosevelt put his political need to focus on the domestic crisis caused by the Depression ahead of mounting evidence of Nazi crimes. This first FDR wouldn’t meet with Jewish leaders and saw no cause to relax immigration restrictions. 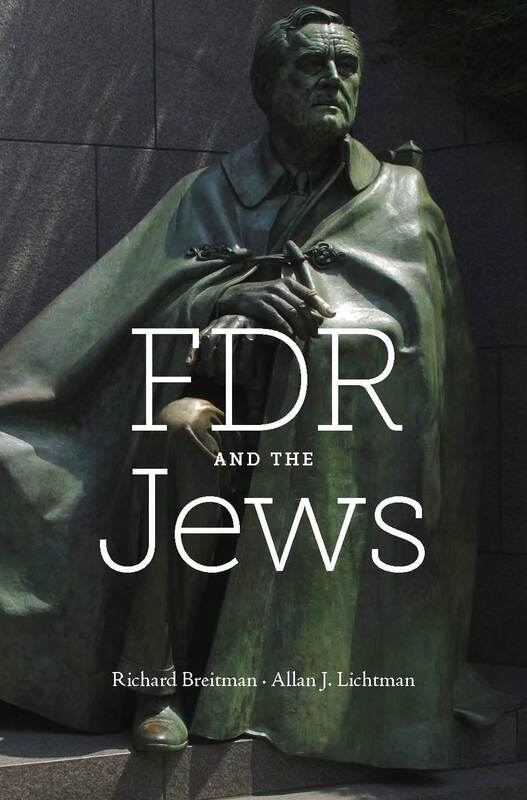 In his second term, FDR, newly confident in his political stature and starting to take on his recalcitrant State Department, met with Rabbi Stephen Wise and other Jewish leaders and accepted their narrative about the Nazis’ grave intentions toward the Jews. This Roosevelt explored ways to loosen immigration quotas and publicly called for a Jewish homeland in Palestine and for an international effort to resettle refugees in South America. But in 1939, at the worst possible moment, a third FDR reversed course, persuaded that any overt focus on the plight of Jews would fuel American isolationism, weakening his administration’s effort to find ways short of U.S. troop involvement to strengthen the battle against Hitler and endangering Roosevelt’s chances for a third term. Finally, too little and too late, a fourth Roosevelt emerged in 1943, as the president—appalled by the wholesale genocide that U.S. newspapers were increasingly reporting despite the State Department’s efforts to tamp down on eyewitness accounts—denounced anti-Semitism, set up the War Refugee Board, and pressed the king of Saudi Arabia, without success, to accept Jewish resettlement in Palestine. Breitman and Lichtman convincingly place Roosevelt’s ambiguity about the Jews at the intersection of his career-long acceptance of Jews personally and his practical, and sometimes opaque, calculations about political viability. As governor of New York, he presided over about half of American Jewry; as a candidate for president, he said it was “foolish to call the Jews a materialistic race”; and as both governor and president, he relied on a striking number of Jewish advisors in prominent positions. On the other hand, although he grew up largely free of the reflexive anti-Semitism that pervaded his social class—his wife Eleanor, for example, “had harsh and commonplace stereotypes of Jews as pushy social inferiors,” the authors write—FDR as a student at Harvard supported a drive to reduce the number of Jews on campus, then six percent of students, because no group should have undue representation. Ultimately, Breitman and Lichtman seem to protest a bit much when they argue that the character of the times and political pressures of the moment explain Roosevelt’s recalcitrance about directing America’s attention and resources against the murder of millions of Jews. As evidence of how hard such choices were at the time, the authors focus on the split within American Jewry. Rabbi Wise—founder of the American Jewish Congress, president of the Zionist Organization of America, and the Jewish leader FDR saw most often—emerges as the hero and conscience of this account, urging the president early and vociferously to speak out or see “a worldwide conflagration… against the Jews.” But FDR was also hearing from Jews, sometimes including Wise, who counseled reserve and even silence about the Nazis’ anti-Jewish acts for fear of fomenting more anti-Semitism at home and in Western Europe. The authors conclude that it sometimes looked as if “Jewish leaders hated each other almost as much as they hated Hitler.” If the Jews themselves couldn’t see a clear path toward effective action, how could the president? Well, okay. Except that presidents are supposed to be able to rise above the narrow interests of the factions that make up the nation, and as Wyman demonstrated powerfully in Abandonment, even if Jewish groups, Christian churches, business leaders and the American public as reflected in opinion polling were all too willing to look away from the evidence of genocide, Roosevelt’s inaction was an amoral decision to put politics and pragmatism ahead of even a symbolic effort to rescue Europe’s Jews. What, really, were the alternatives, Breitman and Lichtman ask. What could Roosevelt have done, given the domestic pressures of an isolationist opposition, an overtly anti-Semitic fringe, a hostile State Department, and the indifference of nearly the entire world, with only Rabbi Wise, Treasury Secretary Henry Morgenthau and a few dissident voices in the federal bureaucracy urging FDR to think in terms of rescue operations rather than focusing exclusively on defeating the Nazis on the battleground? Marc Fisher is senior editor of The Washington Post and author of After the Wall: Germany, the Germans and the Burdens of History. If Eleanor Roosevelt had her class attitudes towards Jews when she was young, she certainly changed as she grew up and older. She knew some Jews well and certainly was not anti-semitic in her later years when she was a dedicated civil rights participant on a high level. i endorse your comments. Mrs EleanorRoosevelt was in personal contact with me when i made the seminal proposal for presidential election debates in l956. Not only did she endorse my novel proposal but sent a personal letter to the campaign manager of the democratic candidate Governor Adlai E. Stevenson endoring to him my proposal.The chair,man of the democratic committee Butler , at my instigation, also met with the representatives of gOVERNOR STEVENSON to discuss the issue of presidential election debates, In l958. I spoke with both Mrs Eleanor Roosevelt and Governor Stevenson, and both again endorsed my proposa;l.Governor Stevenson promised then to advance it in l960 whih he did. All this was possible because of Mrs Eleanor Roosevelt, the former first lady., reaching out to this Holocaust survivor who was then also a new citizen which he had obtained serving in the USarmy. Mrs Roosevelt reached out to me when I was a simple student at theUniversity of Maryland. In my view.Mrs Roosevelt was the lady of the twentieth century. . far from denigrating jews as it is alleged in the book reviewed by Mr. Marc Fisher. ‘s All Things Considered. Consider. Mrs Eleanor Roosevelt gave a boost to me , then a simple immigrant, Holocaust survivor, and a student at the University of Maryland. She was a former first llady who went pout of her way to support meand enlist Governor Stevenson later on. To me., Mrs Roosevelt was the twentieth woman of the century and a very good friend to this jew. First, whether you approve my comments or not, is your prerogative. I have been printed since the age of 17 after I survived the Holocaust hiding in Southeast Belgium, in the Belgian newspaper Le Courrier du Soir. In hiding, I listened each day religiously to the BBC, Both PM Winston Chrchill and President Franklin D. Roosevelt were venered. They kept my morale up in spite of the daily danger of being apprehended, deported and murdered. To me then, and still today, FDR was the light of hope that someday freedom will prevail. In l956, I proposed presidential election debates and enlisted the support of Mrs Eleanor Roosevelt.She got personally involved in circulating my idea to the hierarchy of the democratic party. In l958, I met her and Governor Stevenson and they both again endorsed my proposal. Even, Governor Stevenson promised he would advance my proposal two years hence in l960. He kept his promise when he testified in favoir of my idea in Congress to amend the Communications Act of 1934 to allow debates only between the two major candidates, I am forever so grateful, as the nation opught tobe, This past year I have been the topic of many articles and also have been on national public radio and WUSA TV Channel 9. I had approached the Moment Magazine, but never even got a reply. However, the Washingtonian Magazine and the Bethesda Magazine, bith interviwed me and published articles such as “The Game Changer”and “Whose Idea as it anyway?”The Washiongton Post called me the Bethesda Man who altered the presidential campaigns, column by Robert Mccartney on Sept.30, 2012. Why did the Moment Magazine to which I subscribe, ignore me? N ever received a reply to the e-mail adressed to the editor in chief. Why? Please explain. I am baffled. Fred A. Kahn Immigrant and Holocaust Survivor. In summary, i recall stillwell that while in hiding our faith was in President Franklin D. Roosevelt. He inspired us and gave us hope that some day we would reclaim a normal life without danger of being killed. I will never forget the courage he inspired. Those who findfault with him today,do ot realize what the Holocaust affected people in hising needed such inspiration to being up their morale. God bless forever President Roosevelt and in personal way as i wrote elsewhere, I a,m in gratitude for his widow who was so personal in endorsing my proposal for presidential election debates to alter and make more vibrant the presidential elections. God Bless America! Although Nazi persecution of the Jews was no secret, what we consider the Holocaust really did not begin until the invasion of Soviet Union. On June 22, 1941, almost all the Jews in Europe were still alive. Anne Frank’s family had left Germany in 1933; most German Jews would be gone by 1939. The Franks believed themselves safe because the Netherlands had been neutral in WWI and almost no one expected that the Nazis would overrun all of Western Europe, Eastern Europe and much of the Soviet Union. Once in Hitler’s grasp, there was almost nothing to be done to save them. The Allies were already at war with Germany. By August 1943, about 4 million Jews had been murdered in Europe. That same month, the 8th Air Force attempted its first deep penetration into Germany, a raid primarily aimed at ball bearings works in Schweinfurt — more than 500 miles west of Auschwitz. The result was disastrous, 60 aircraft lost with dozens more badly damaged – out of about 350 B-17s and B-24s. The Eighth tried again in October with even worse results. The real question then was not whether Nazi death camps could be bombed, but whether the Luftwaffe could be defeated. It was not until March 1944 that the bombers and their escorts were able to gain control of the skies over Germany. And then the plans were changed – the air forces concentrated on preparing for D-Day. This was not the impotent UN of today, this was the wartime coalition that was pulverizing German cities. That UN meant business. The Declaration was reported on the front page the New York Times and many other newspapers. The Nazis knew the Allies were promising “retribution.” They were not deterred. I’ve always wondered how the 8th Air Force aircrews, who were probably about 8 percent Jewish, were going to briefed on a concentration camp attack. We’re going to bomb our friends? We going to risk our lives — losing a reasonable estimate of 50 aircraft (500 men) out of 900, plus dozens more damaged, to kill Hitler’s victims? Goebbels would have had field day: The Allies pretend to love the Jews, but their terror bombers seek them out to kill them, etc., ad nauseum.